Cey Adams is an American artist who pioneered Hip-Hop graphic design. Cey (pronounced say) Adams was born in New York in 1962. He began his art career by tagging buses, bombing subway cars and painting graffiti on walls in the 1970s, when just a young teenager, still in junior high school. Adams says that he was influenced by comic books and artists like Andy Warhol and Roy Lichtenstein. 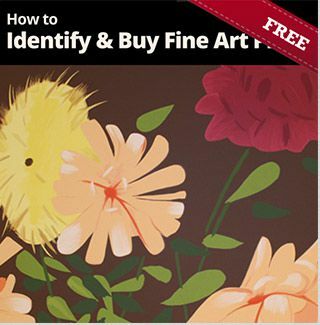 Although his working class parents were supportive of his art, and bought him art supplies, they didn’t understand how he would turn his talent into a career. In 1983, Adams was painting a wall when a photographer approached him and said that he was looking for art work for an album cover for a band called Run DMC. Not many people had heard of Run DMC at the start of 1983. The photographer gave Adams a business card with the address of Russell Simmons, the founder of Def Jam Records. Adams said he met Russell the same day that he was handed the card, and his career as a working artist began. He designed flyers and posters by hand in those days, since computers and photoshop were not mainstream, in the early ‘80s. Adams said that his transition from graffiti artist to graphic designer was a gradual one. In the early days of Def Jam records, Adams designed album covers for artists like RUN DMC, LL Cool J and the Beastie Boys (Adams has had such a long relationship with the band that he’s sometimes called, the fourth Beastie Boy). Adams hung out in New York clubs with artists like Jean-Michel Basquiat, Keith Haring, Andy Warhol and with many of the fledging artists who were nurtured by Def Jam. In 1985, Adams and Steve Carr, who had gone to the School of Visual Arts in Manhattan, created the design company they called The Drawing Board, which designed all of Def Jam’s album cover art and, over the years, expanded to include work for other labels. Adams and Carr collaborated at Def Jam for about twenty years. Among other projects, Adams co-authored DEFinition: The Art and Design of Hip-Hop and designed the poster for 2011 MoMA exhibit called Looking at Music 3.0. Adams is active in lecturing and teaching at workshops for young artists, in conjunction with the Urban League. His One Nation mural was unveiled at the opening of the Smithsonian’s National Museum of African American History and Culture in September 2016. 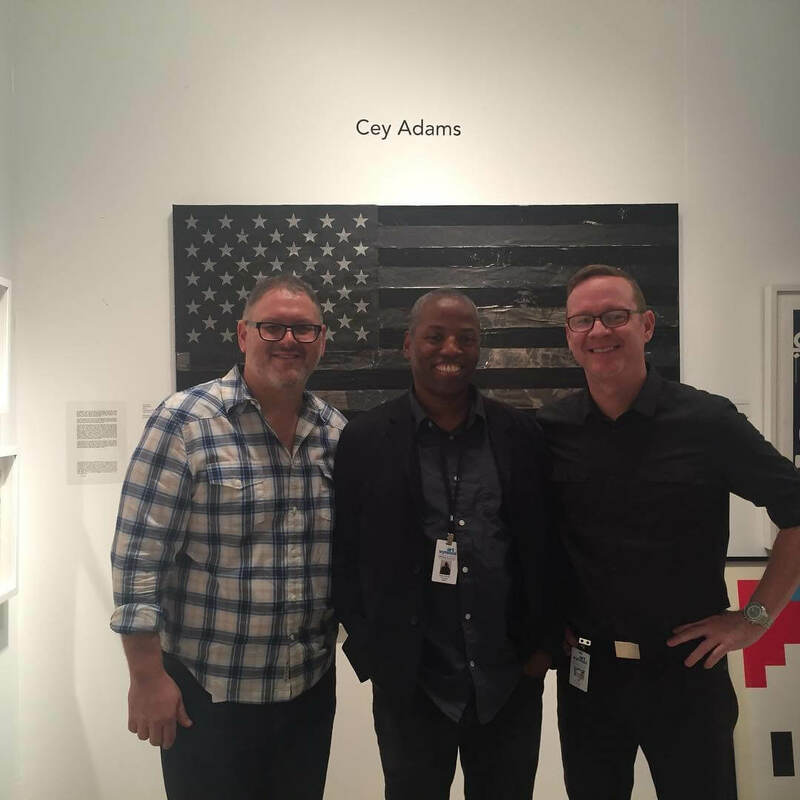 Cey Adams with Gary Santoro and Bill Pugsley, ArtWynwood, 2017.